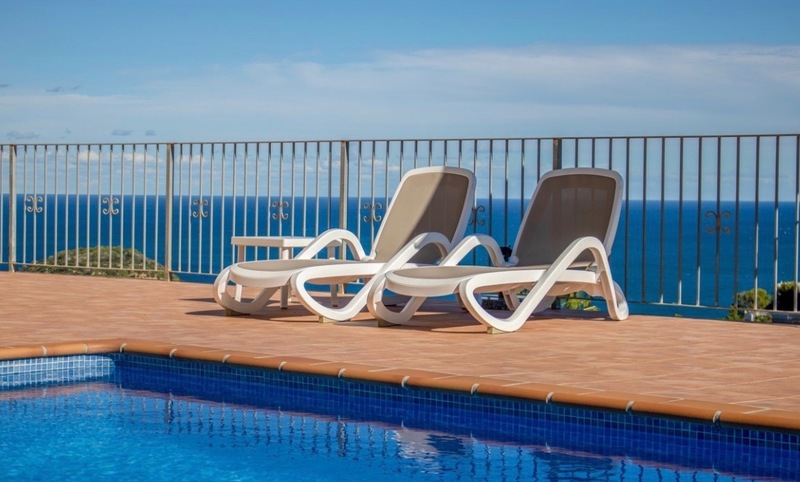 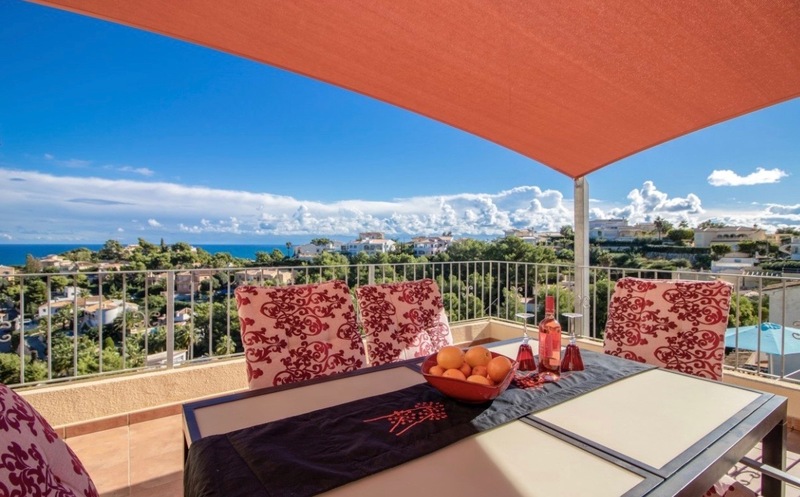 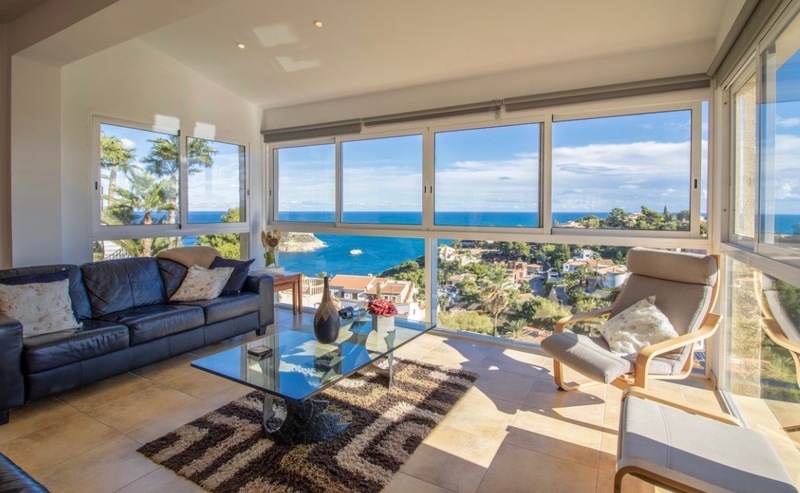 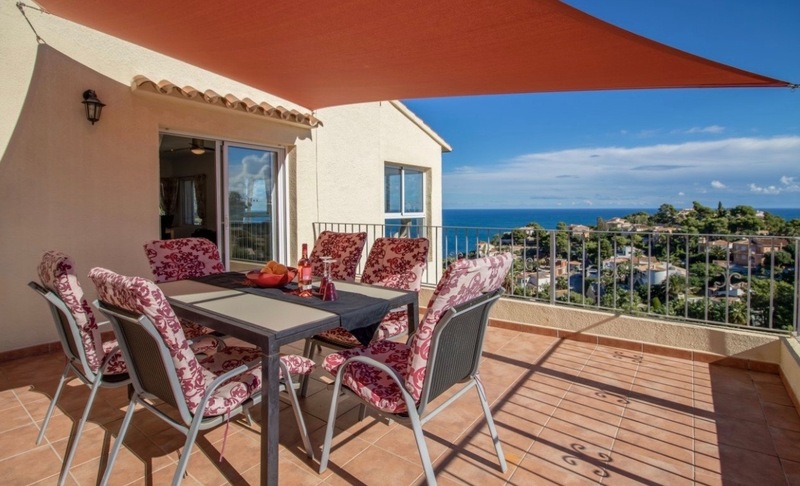 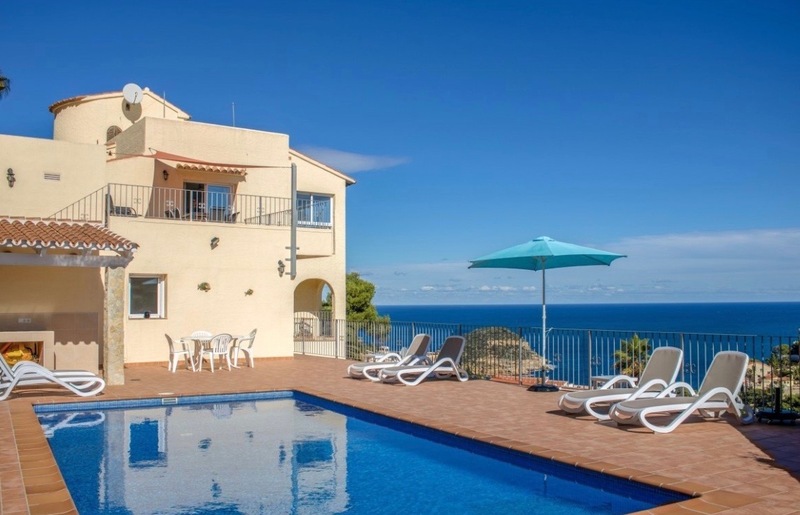 Villa for sale in Balcon al Mar with spectacular sea views, jewel of the Costa Blanca. 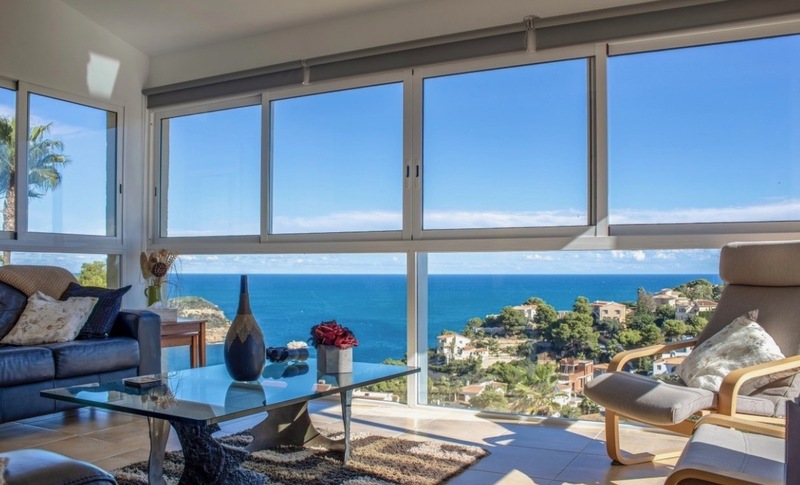 On entering this home, you feel like you’re on the deck of a ship; enveloped with an amazing sea view. 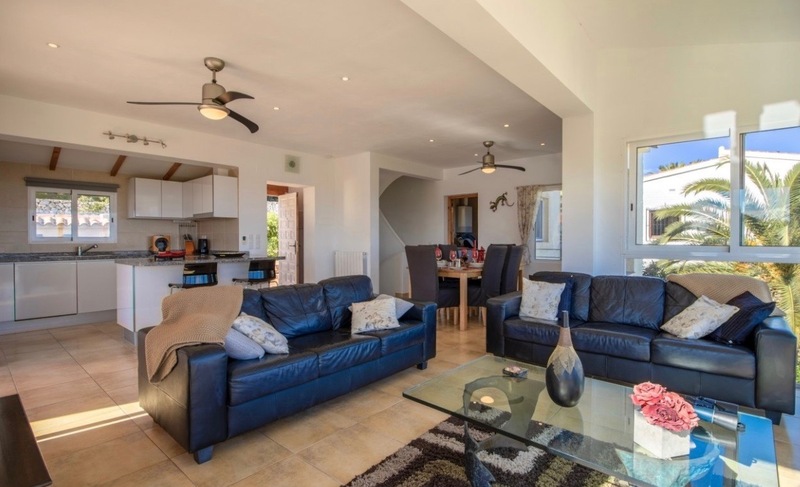 This home has no stairs to access the main living area, which is an open concept living room, dining room and fully fitted kitchen – leading onto an open barbecue terrace overlooking the pool and out to sea. 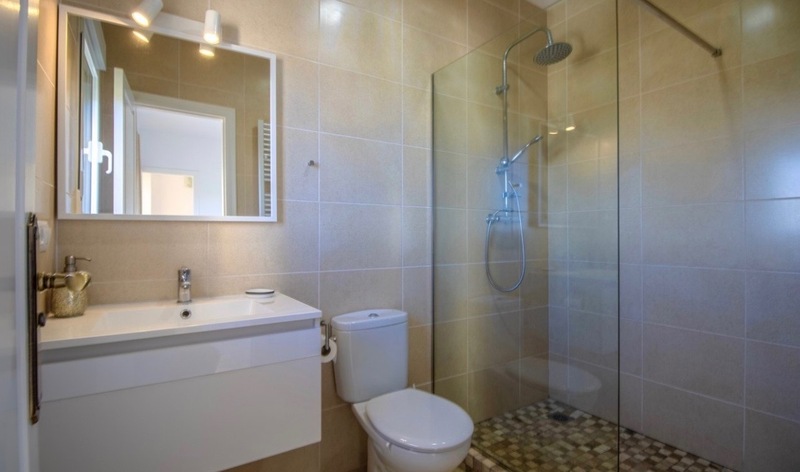 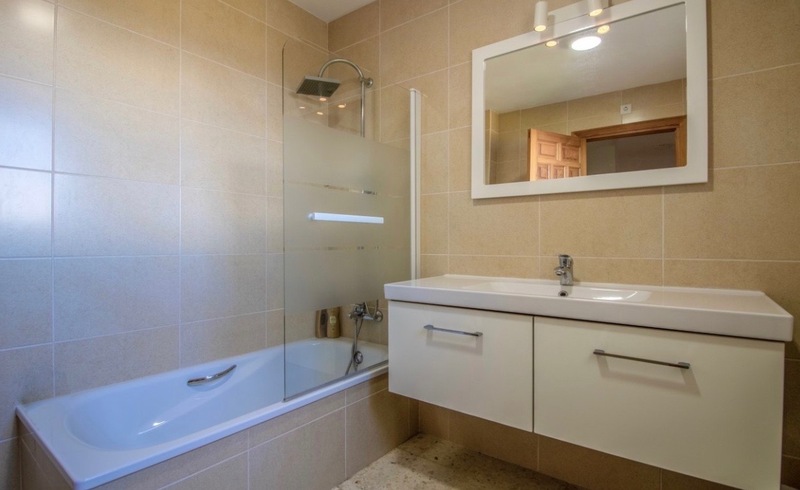 This main level also has a utility room with guest toilet. 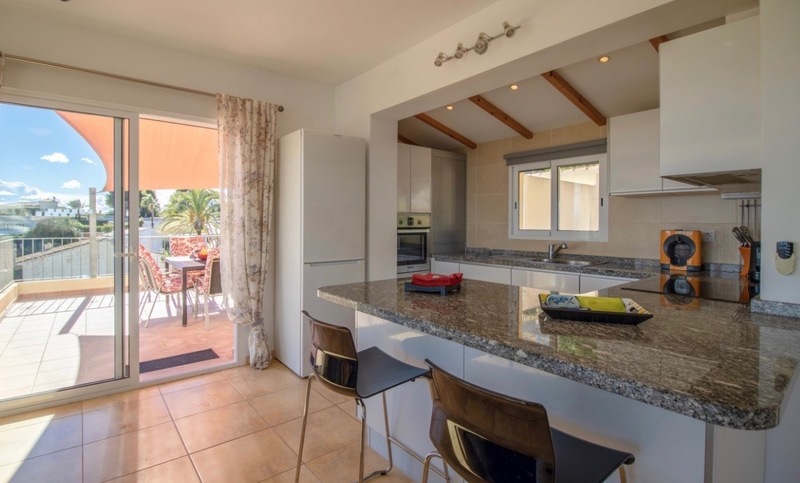 An internal staircase leads down to to 4 bedrooms and 3 bathrooms (including two suites) and access to the swimming pool terrace where you have plenty of room for sunbathing and relaxing, once you’ve poured yourself a drink in the bar. 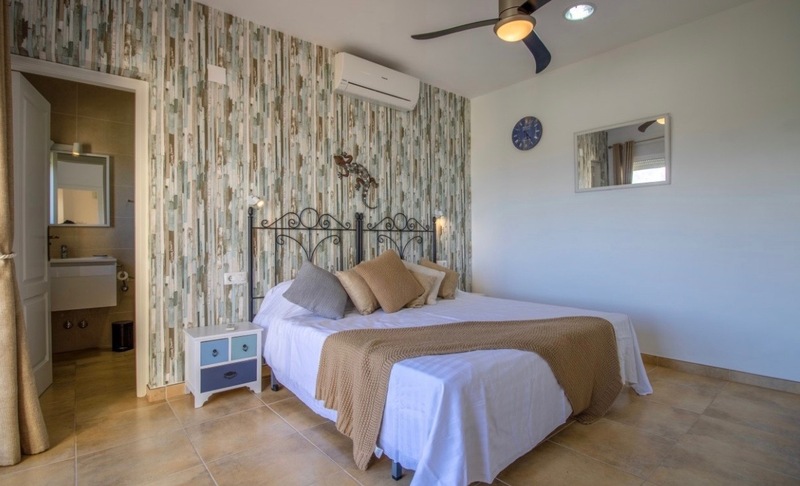 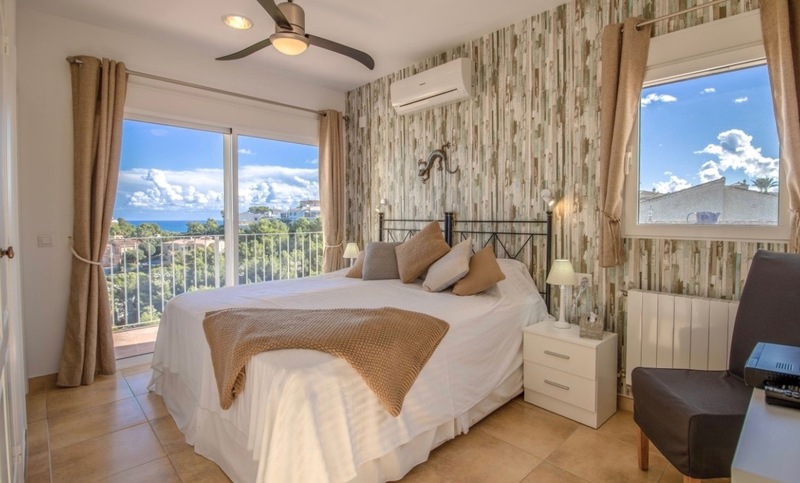 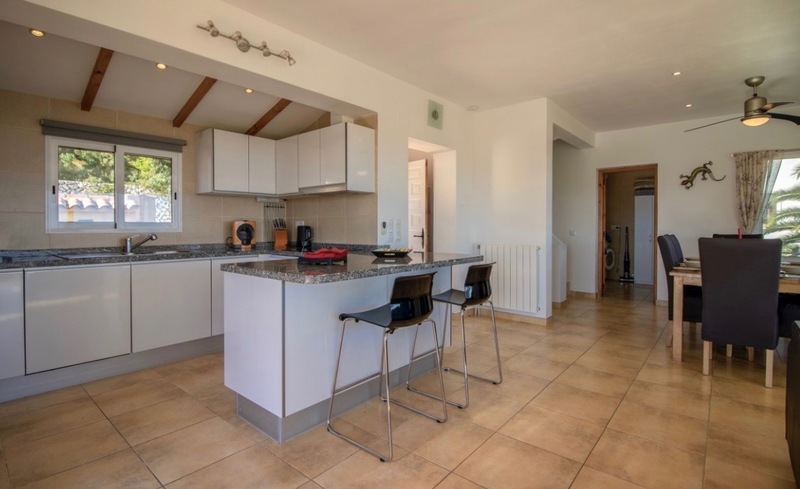 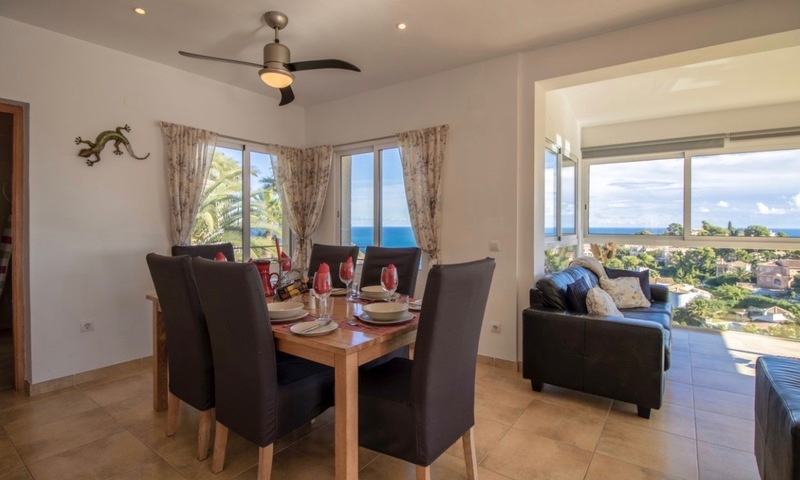 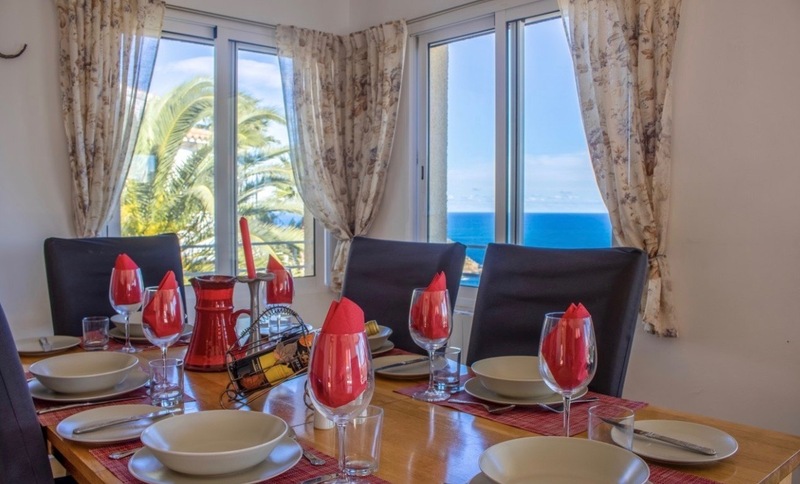 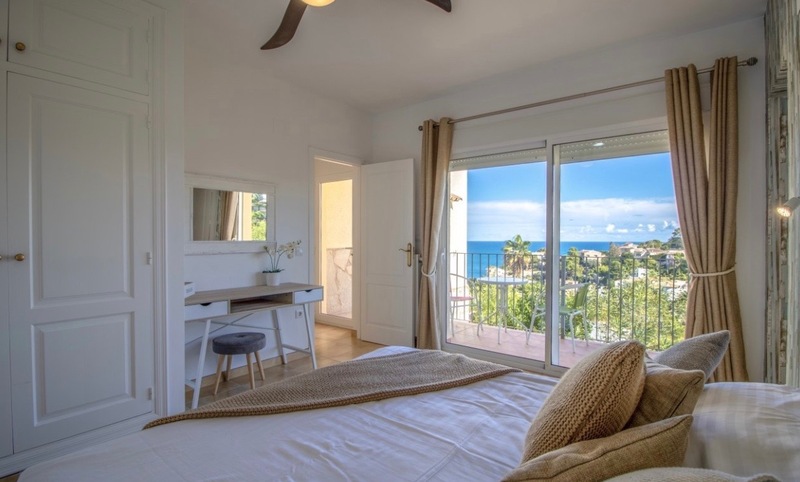 Extras included in the sale of this villa with sea view are: double glazed windows, air conditioning, gas central heating, ceiling fans, balconies off each bedroom, new 10×5m pool, exterior shower, low maintenance garden, exterior lighting, storage and private garage with automatic door.